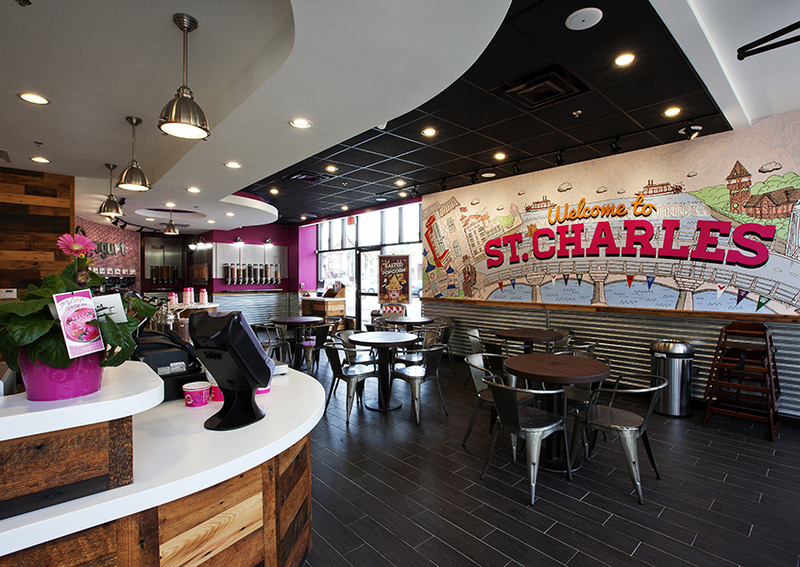 This new franchise is located downtown St. Charles, directly on Main Street. 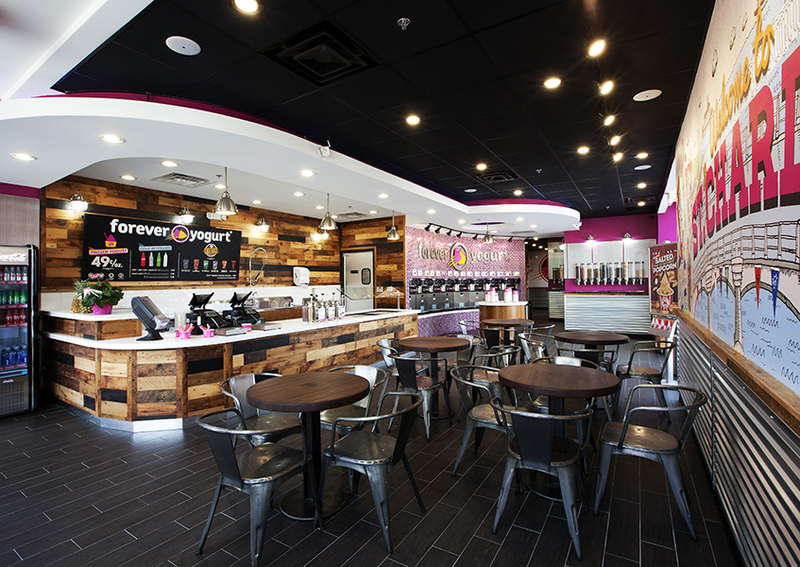 The interior decor is a fun mixture of stained wood, metal, pink tiles, bright paint, and unique, architectural ceilings. 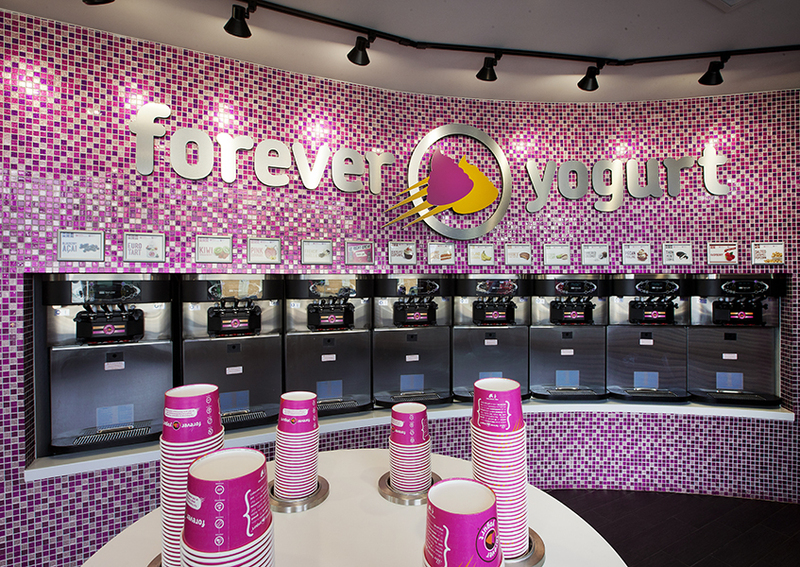 In order to host the rotating 16 flavors of frozen yogurt, special freezer units were installed in the back room of the facility. 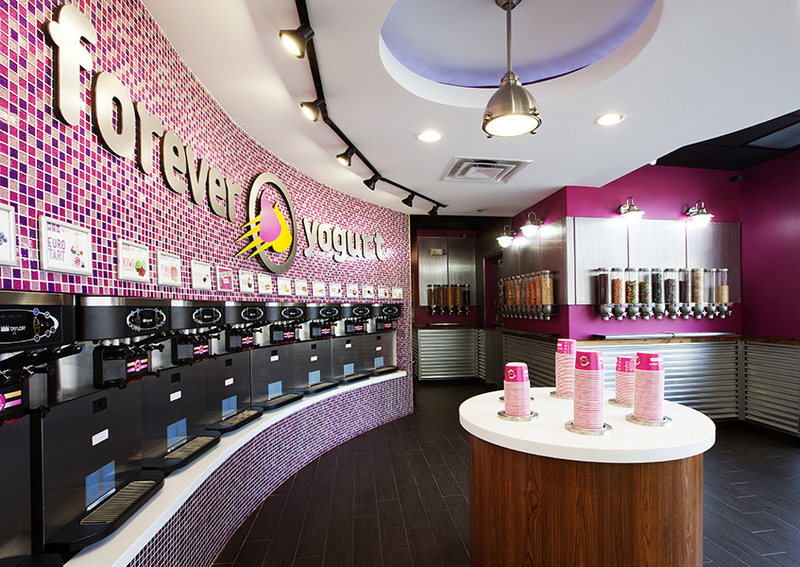 Additionally, containers for the 50 different toppings were installed on the wall.